We had fresh powder to snowshoe this day! Departs Daily at 1:00 PM. 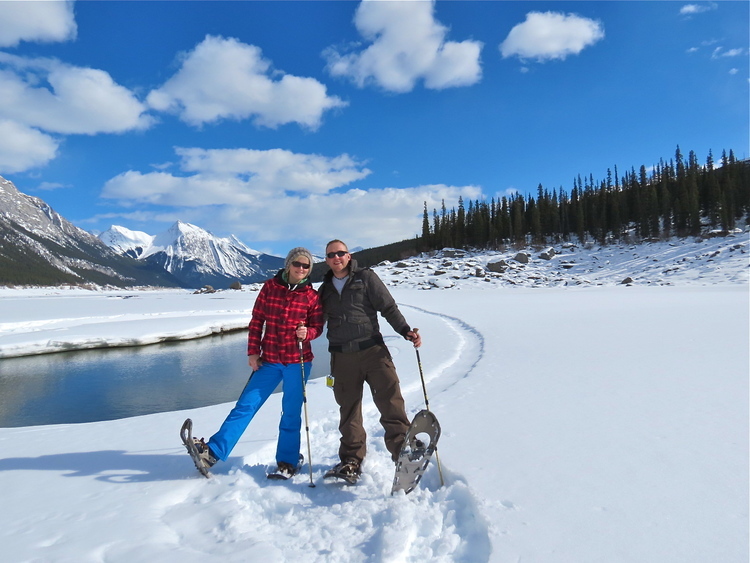 The snowshoe adventure is always a fun way to enjoy Jasper's awesome "NATURE" Paula will choose the best area for the day depending on the snow and road conditions. This adventure includes snowshoes, poles, transportation to the snowshoe location and Paula's guidance. Let's enjoy some of Jasper's fluffy powder snow and awesome mountain scenery.